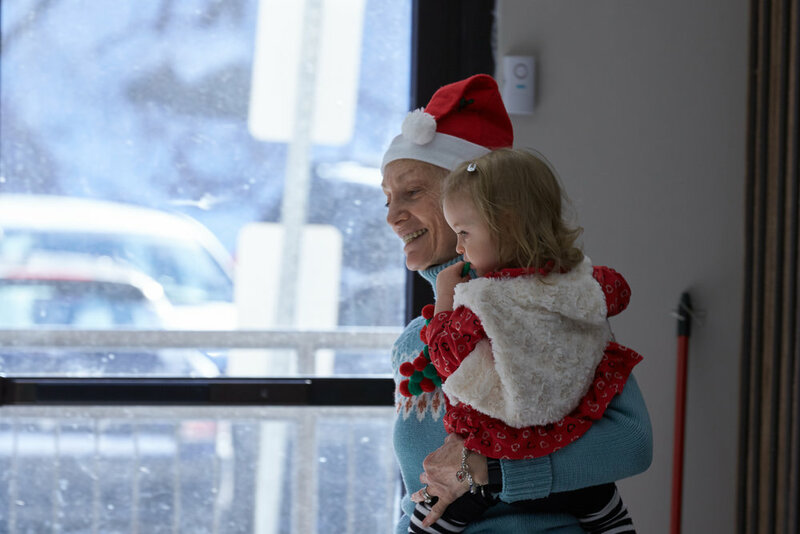 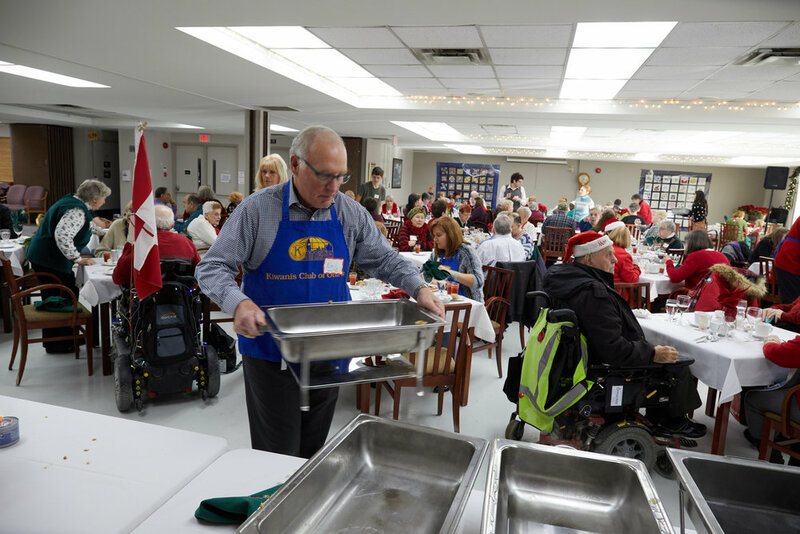 The Club has been running a Christmas luncheon for seniors going back to meals at the Kiwanian Alex Dayton Centre for more than 30 years. 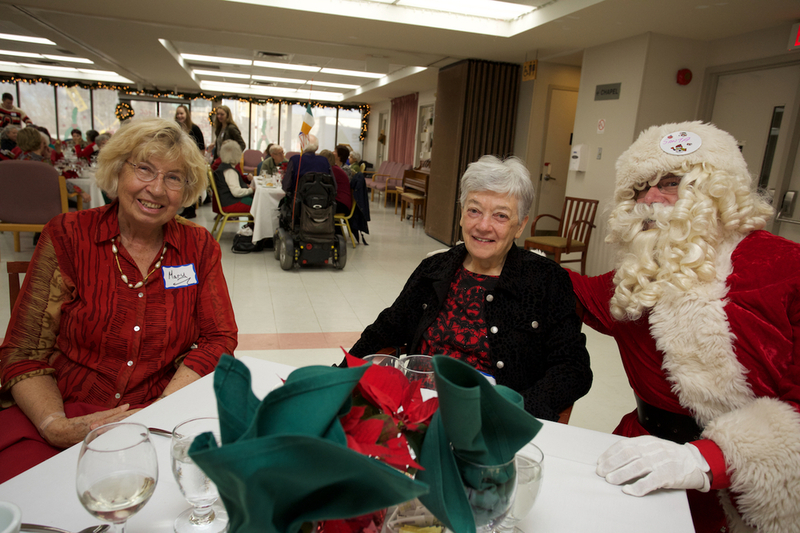 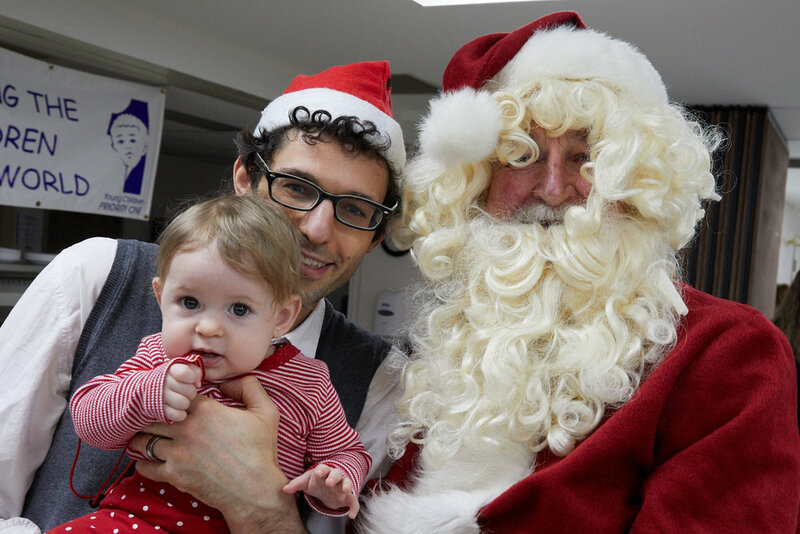 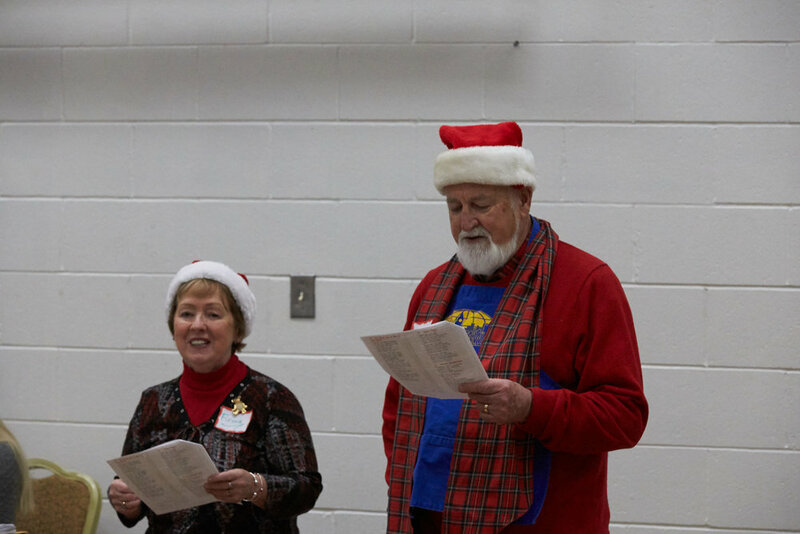 This year's dinner at the Good Companions included a turkey meal and a visit from Santa Claus. 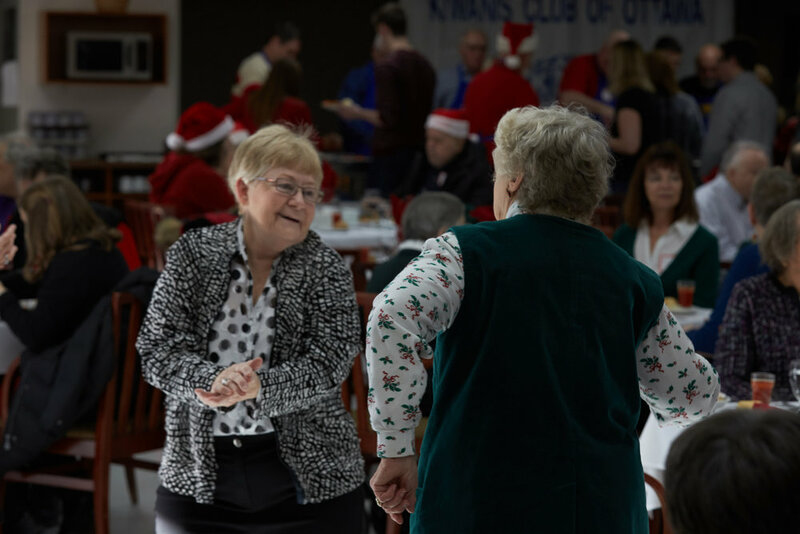 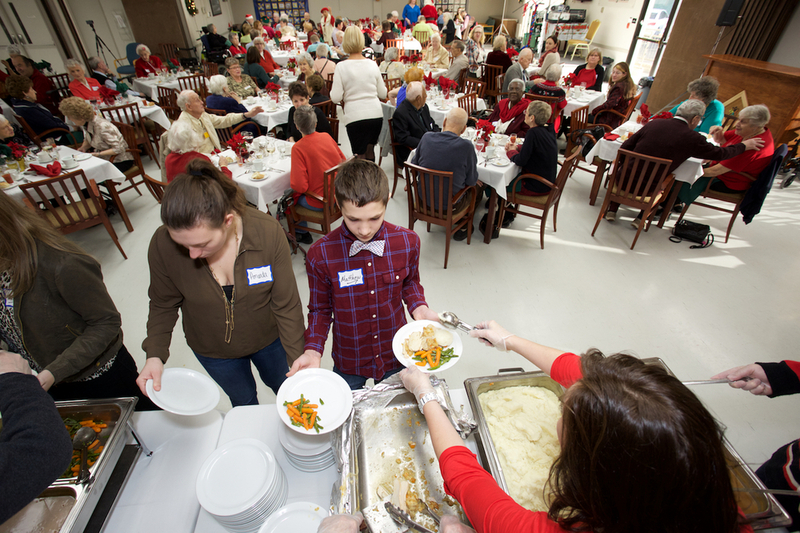 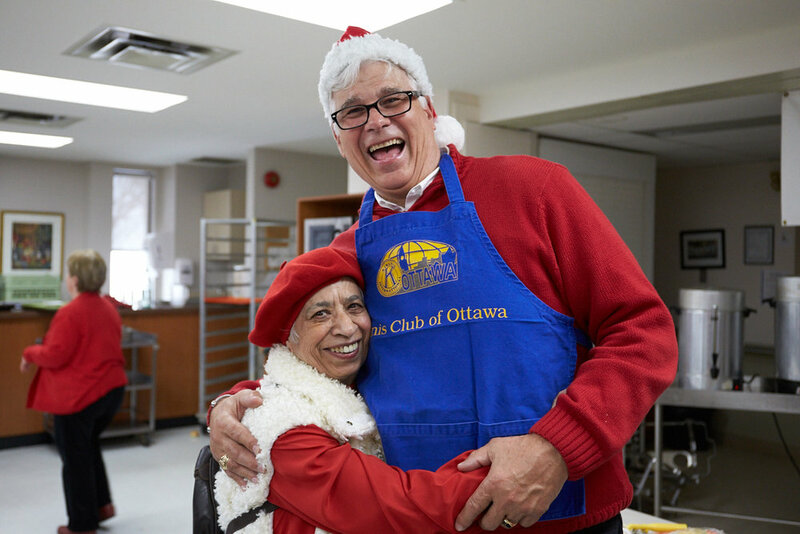 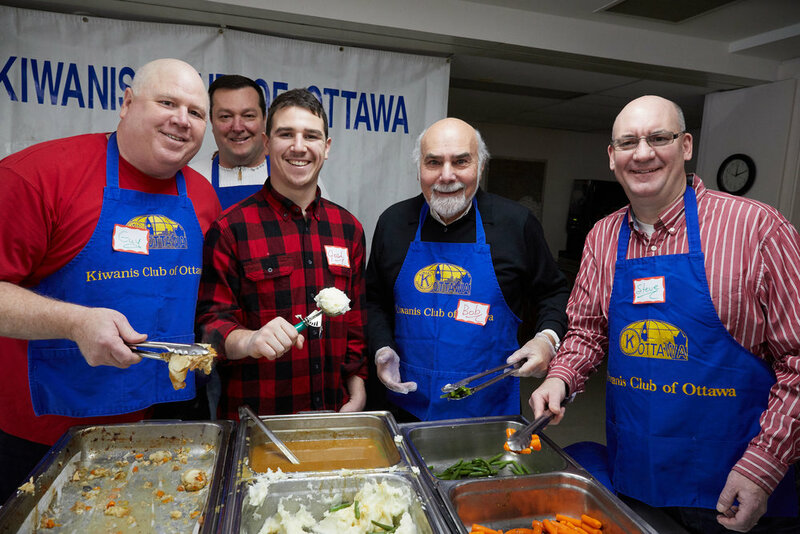 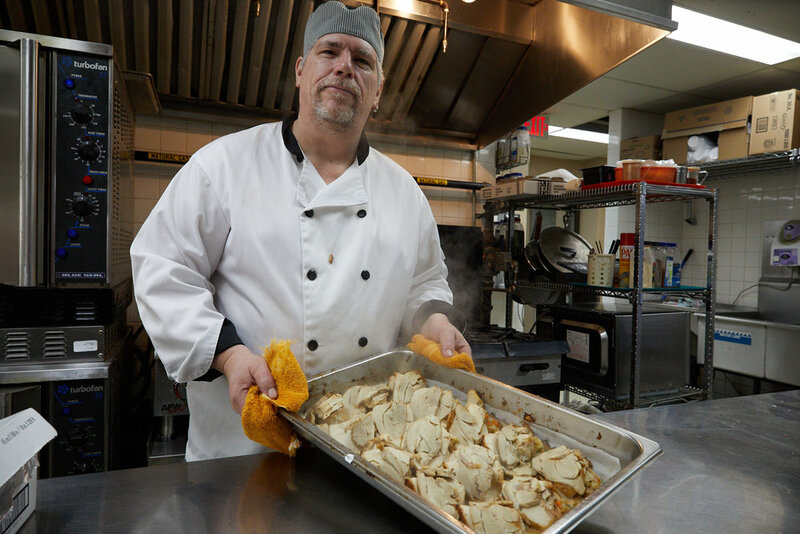 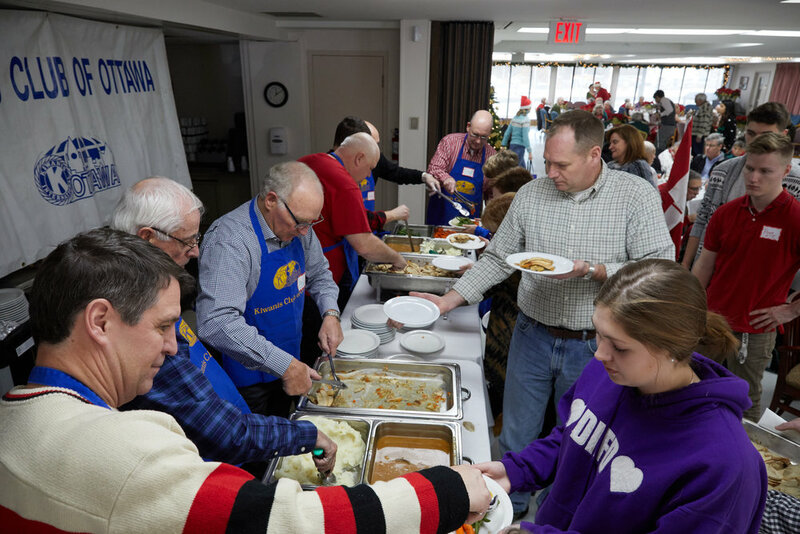 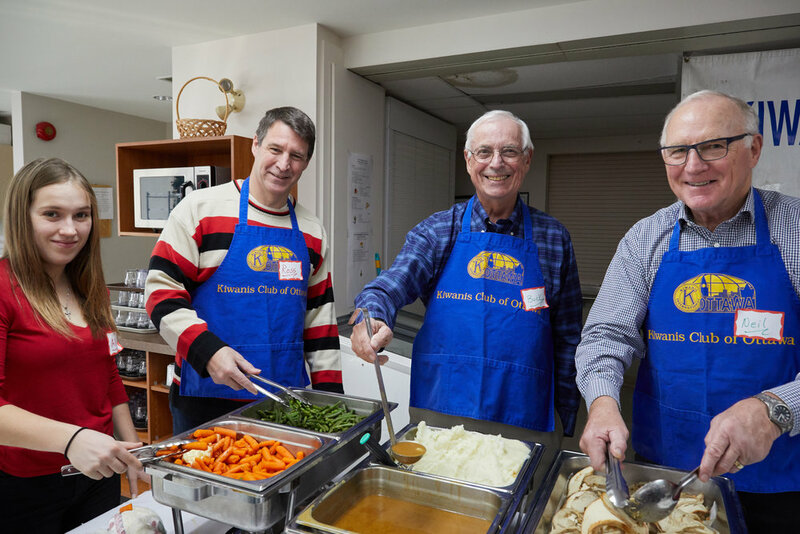 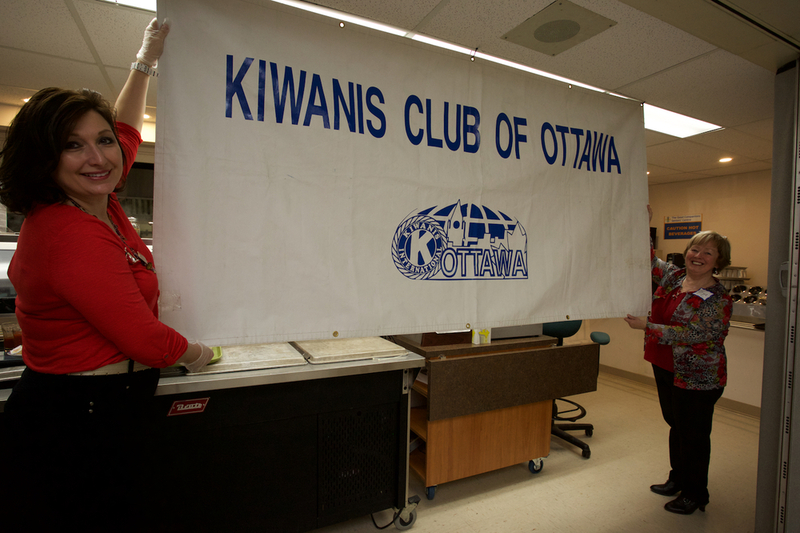 For over 40 years the Kiwanis Club of Ottawa has been serving lunch to seniors for Christmas. 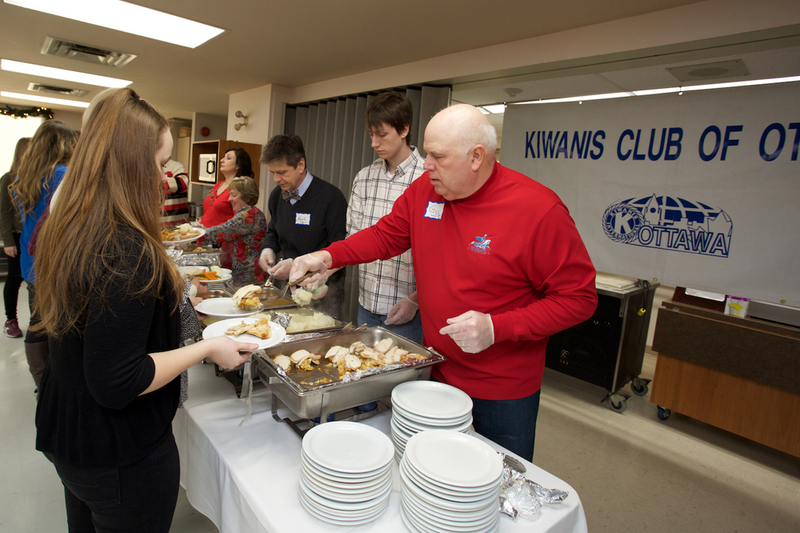 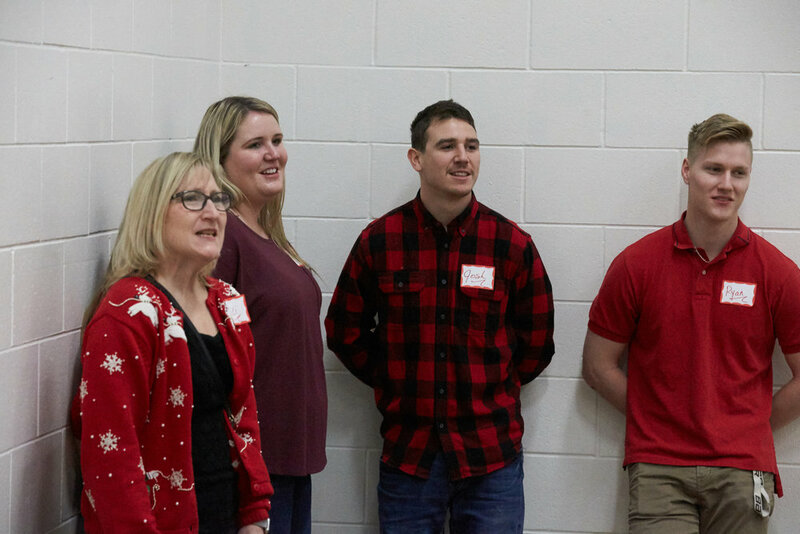 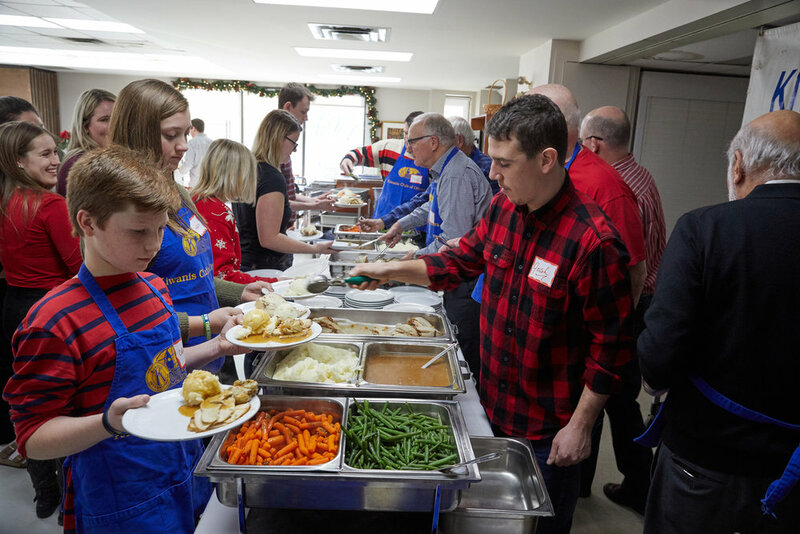 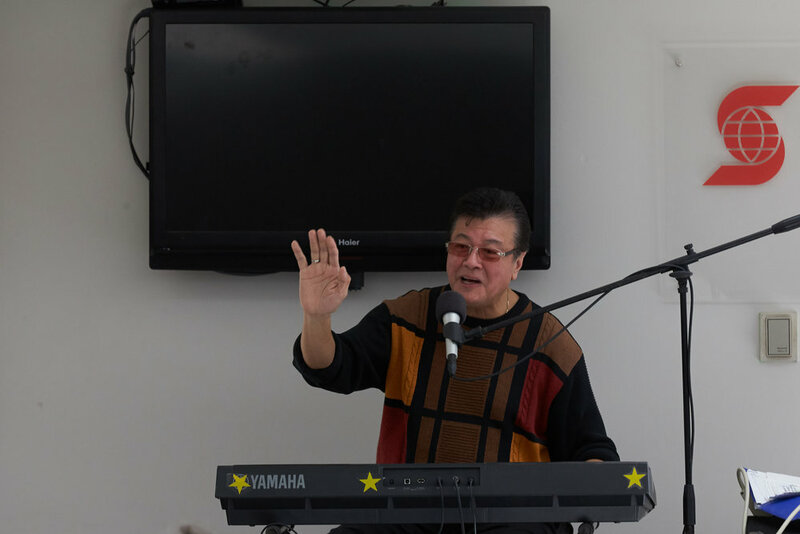 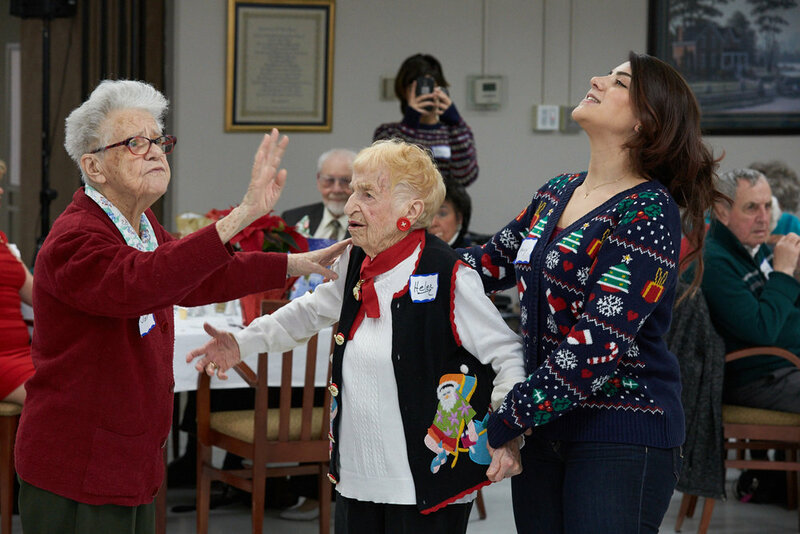 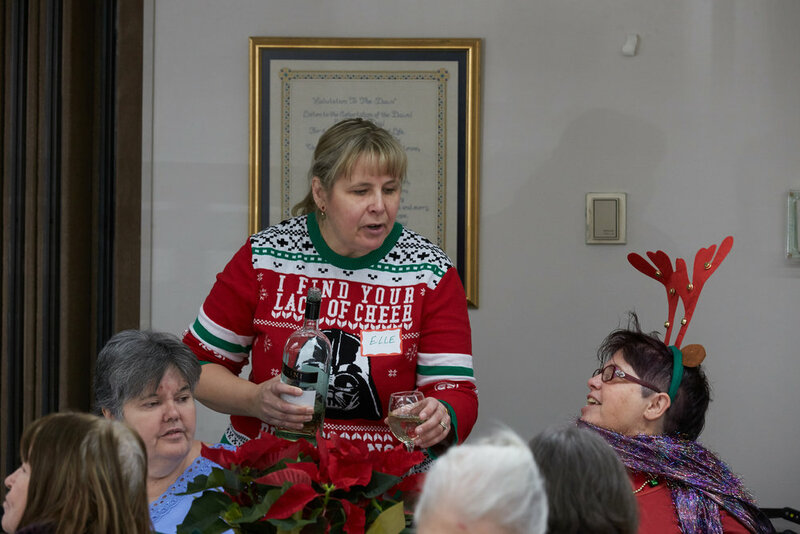 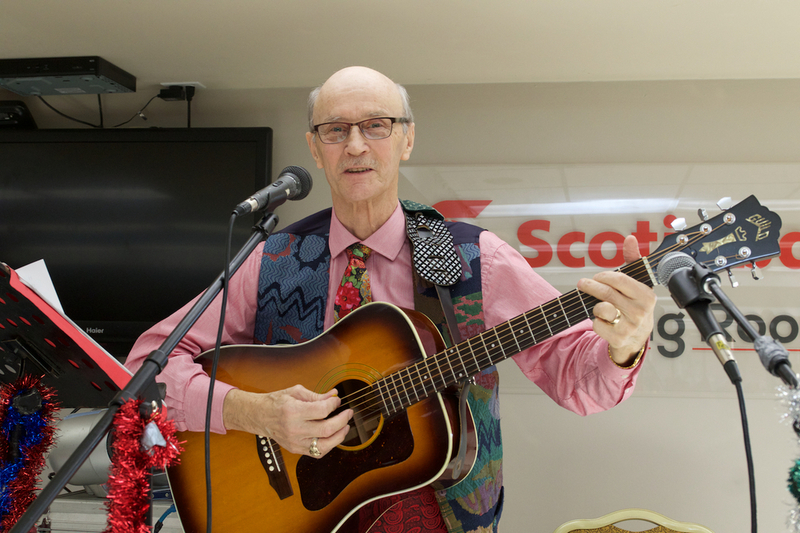 This year's luncheon took place at the Good Companions Centre, and was attended by over 100 seniors, and lunch was served by Kiwanians and their families. 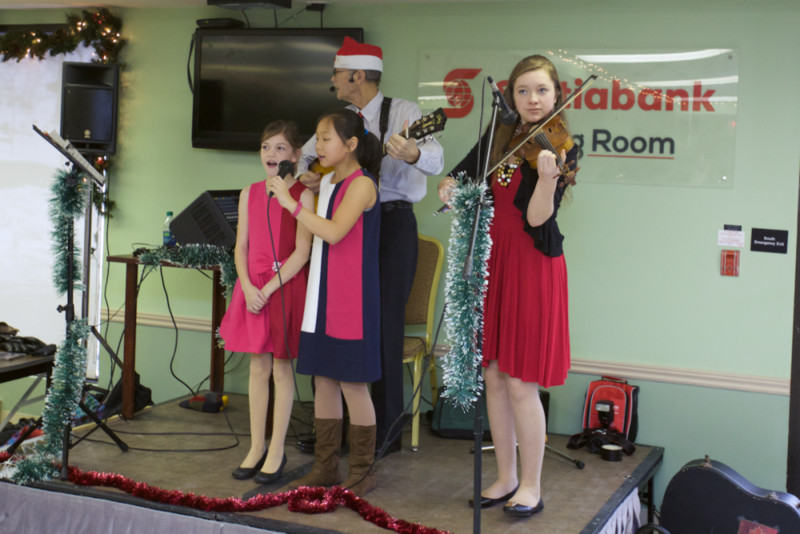 Santa Claus was in attendance, and the entertainment was provided by Dominic D'Arcy and his Rising Stars. 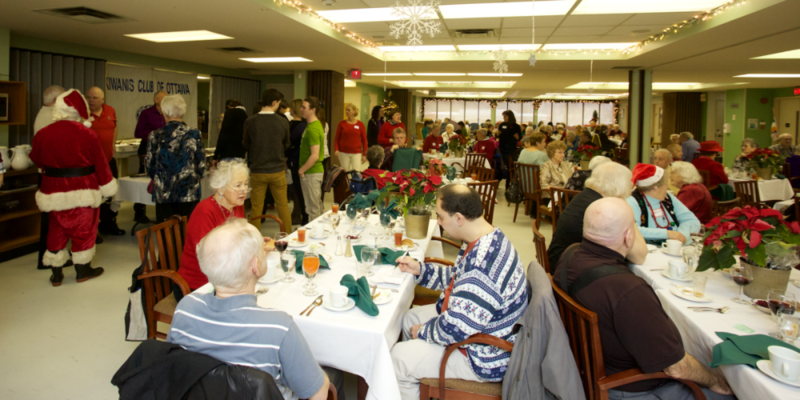 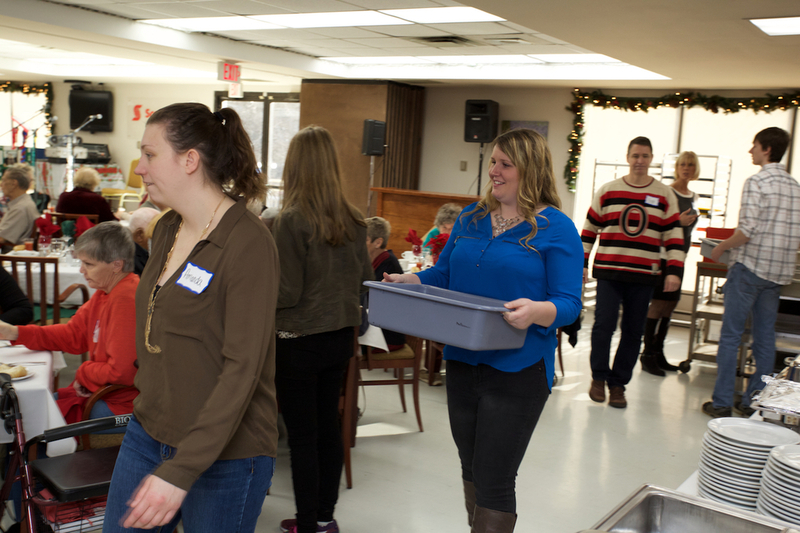 The Hands on Committee ran their annual Senior Xmas Luncheon at the Good Companions Centre. 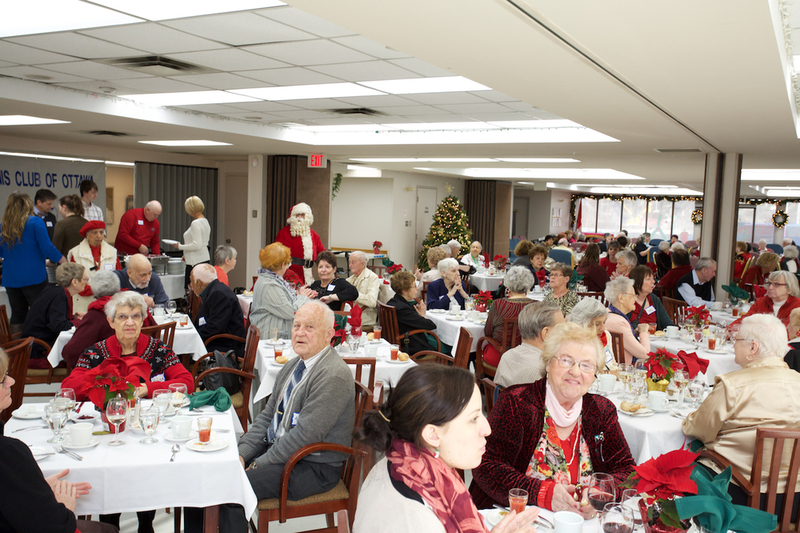 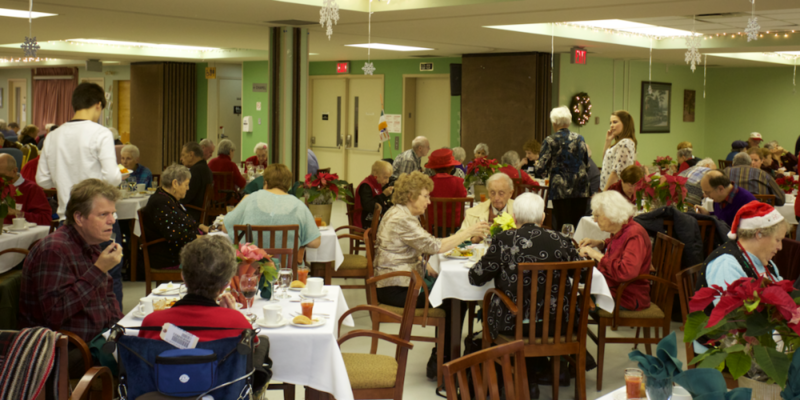 The Direct Assistance Committee will be serving a seniors lunch at the Good Companions Centre on Christmas day. 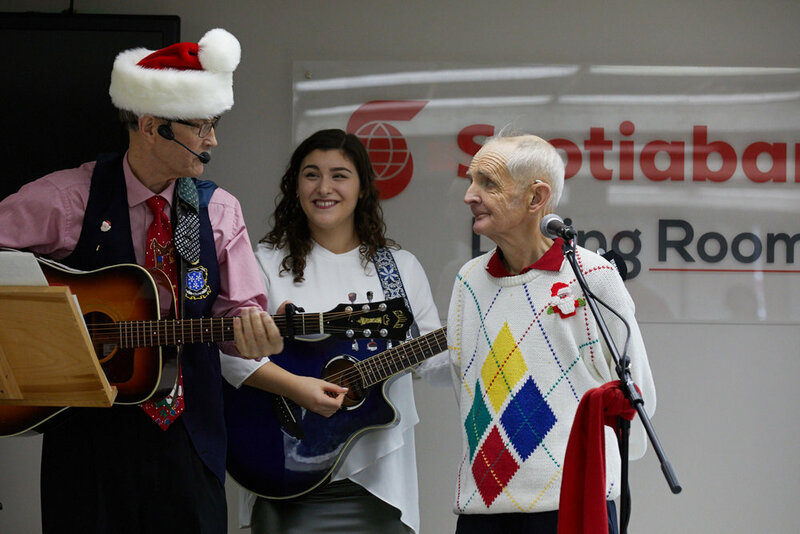 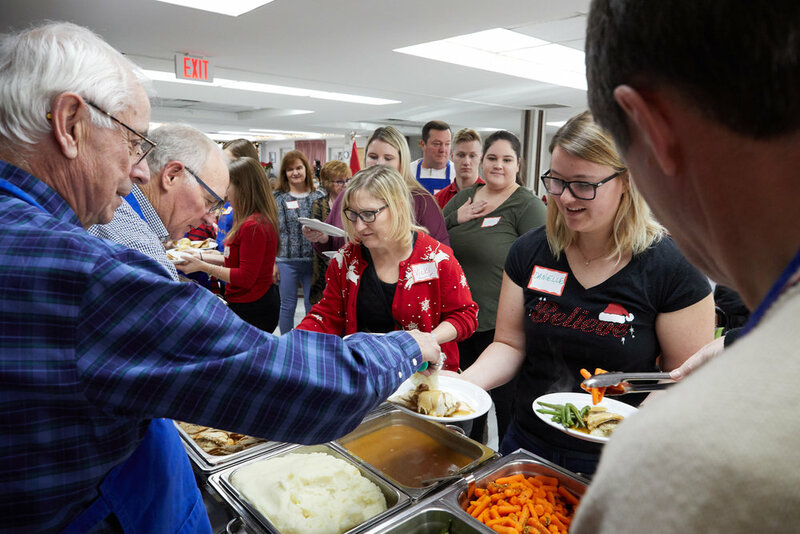 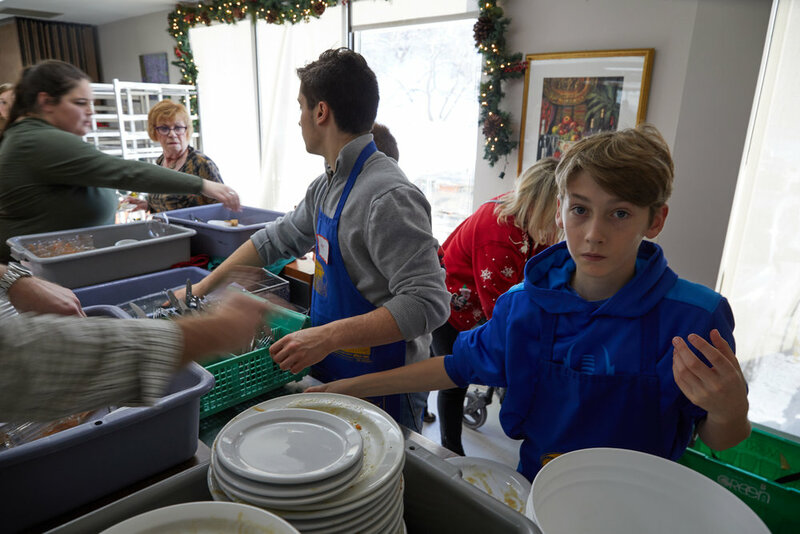 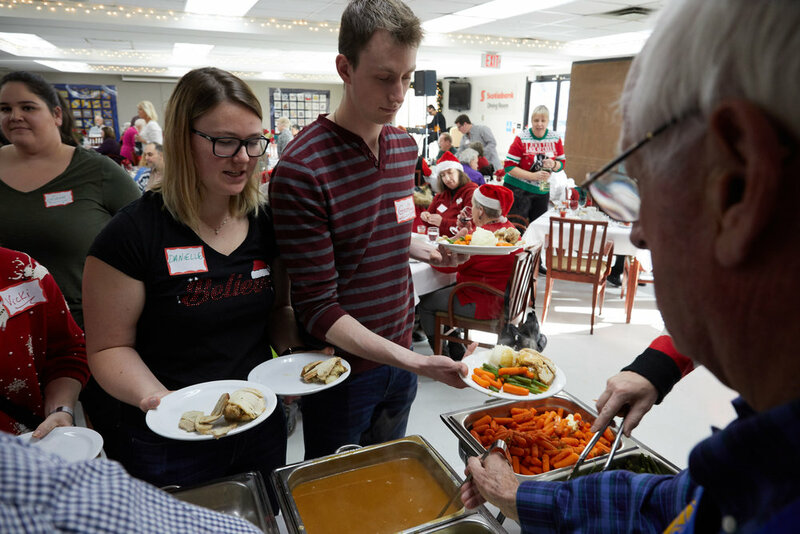 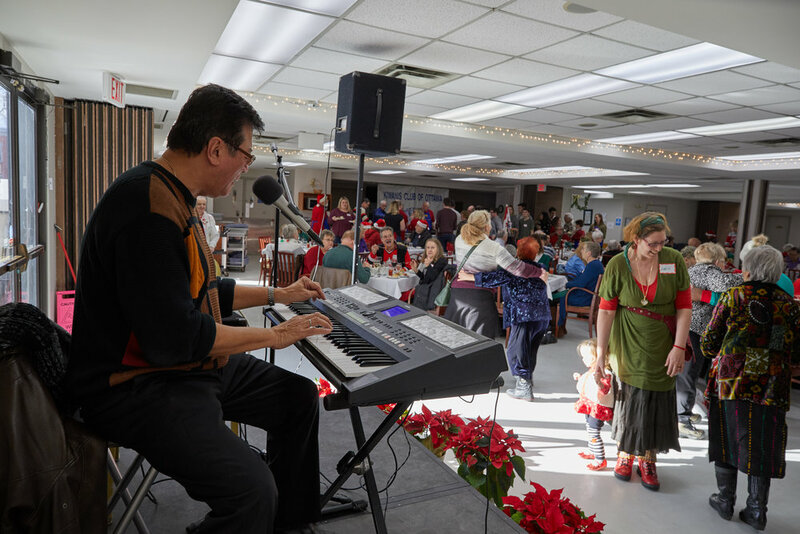 The tradition of serving a Christmas dinners for seniors goes back to 1987 at the Kiwanian Alex Dayton Seniors Centre at Carlingwood Shopping Centre. 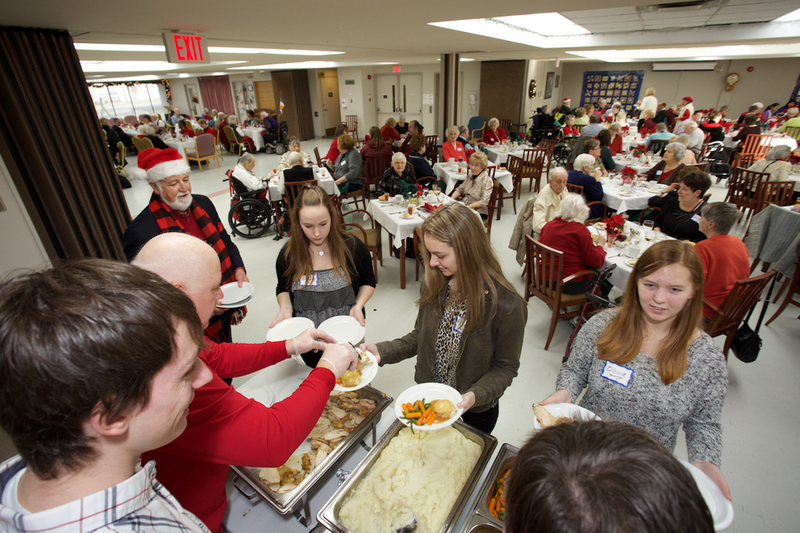 The luncheon is open to any seniors in the area, and tickets are available at Good Companions for $8. 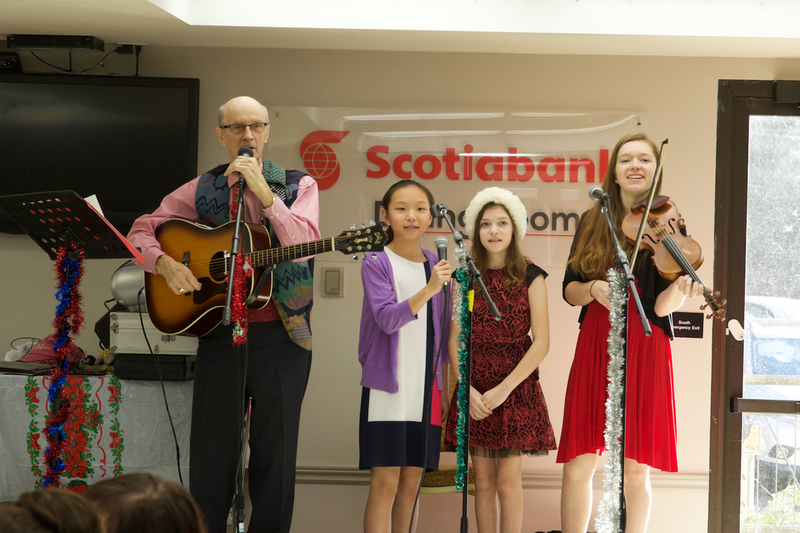 Entertainment will be provided by Kiwanian Domnic D’Arcy and his Rising Stars, and a visit from Santa Claus is also planned. 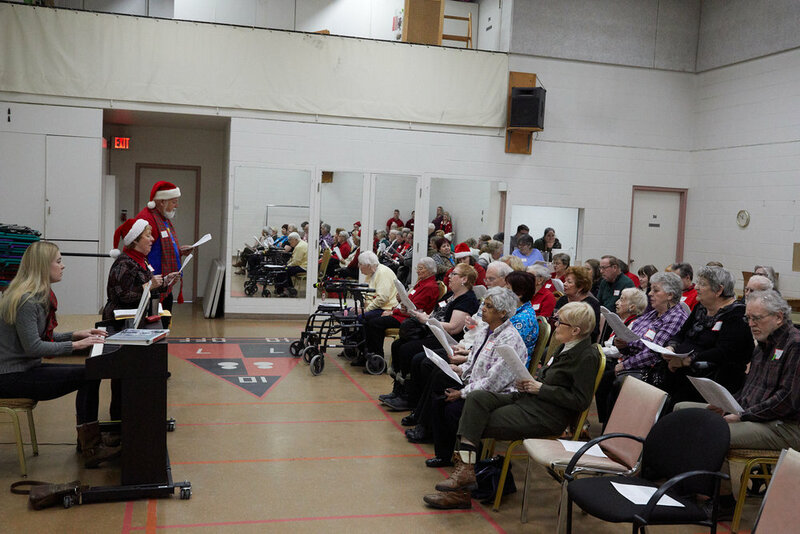 Once again, the event at The Good Companions Centre was sold out with 130 seniors in attendance. 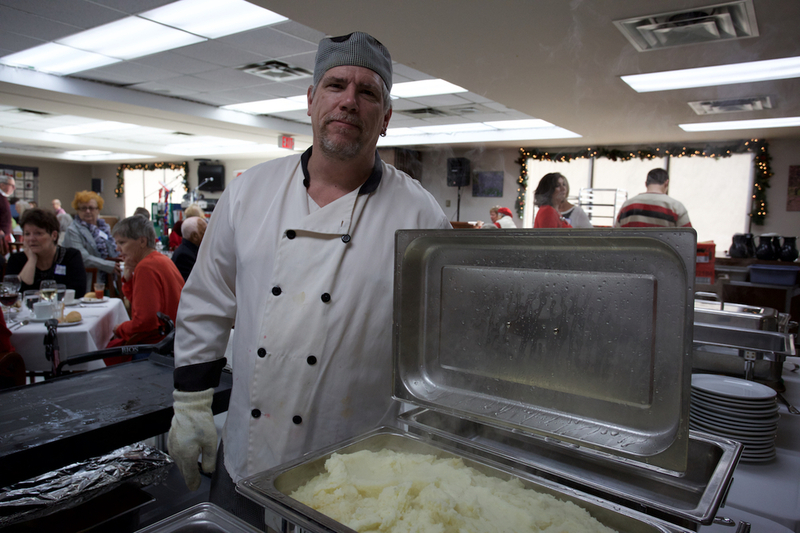 THANK YOU to those who volunteered to set up on December 24th, and / or to serve lunch on December 25th. 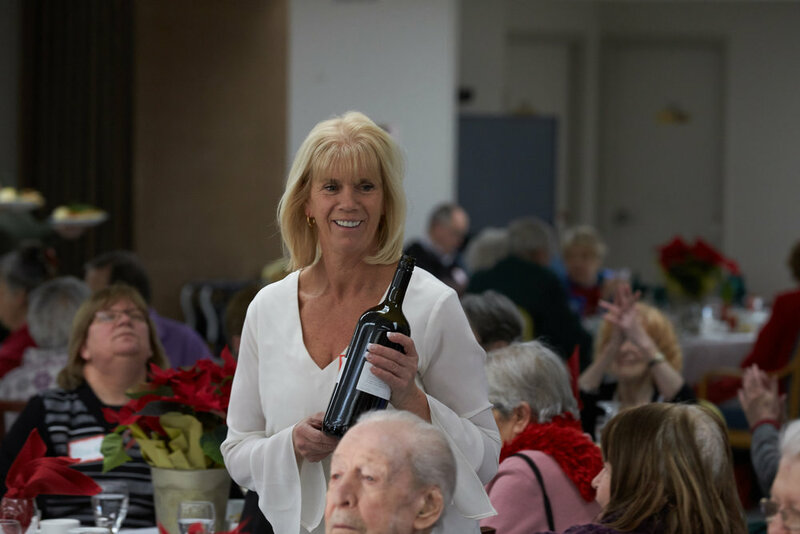 Helene Crabb joined our club in 2004 sponsored by Director Martin Diegel.